In my previous posts, I talked about many Smartphone and they are one of the best budget Android smartphones. Today I will tell you about another Android smartphone that is in your budget. I will give you all the information about this phone. But in this article, I only tell you about this smartphone and its problem. In my next article, I will tell you about its specification. The look of Lenovo Z5S is so premium. If you want to buy a good looking smartphone and that is in your budget then this phone is best. Its look is so good and premium. Also, this phone is available with 4GB/6GB RAM and 32GB/64GB ROM (Internal Storage). Its operating system is Android 9.0 Pie. You can also check Huawei Honor 8X. It is also the best budget Android phone. Not only looks this phone is best in reason. You go and check it from here. 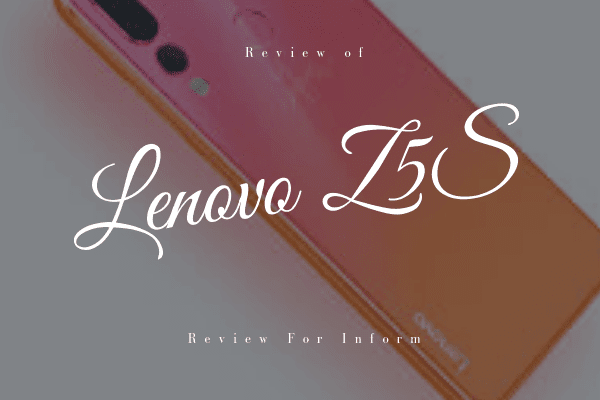 Talking about Lenovo ZS5 it is very good for its design and its look. But this phone has some lacking that is the bad side of this smartphone. This phone has Snapdragon 7 and 4/6GB RAM. But while playing games it makes many problems. In front, this phone has a 16 Megapixel camera but its picture quality is not good. The same problem in the rear camera. Talking about battery then it is not so good. Its battery is 3300 mAh (Li-Polymer). This Battery not ok for those people who want to use their mobile for a long time. But in general, it is ok. So, this mobile is not so good for people who play games for a long time. 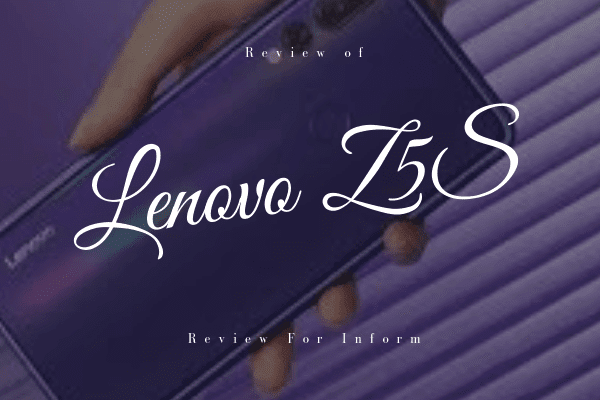 So, this is some information about Lenovo Z5S. I will tell you some specification of this phone in the next article. I hope you liked this article. If you like this post then don't forget to share this article with your friends. Thanks for reading this article.